February looks like it'll continue last month’s and last year’s trend of warmer than average temperatures across most of the United States. 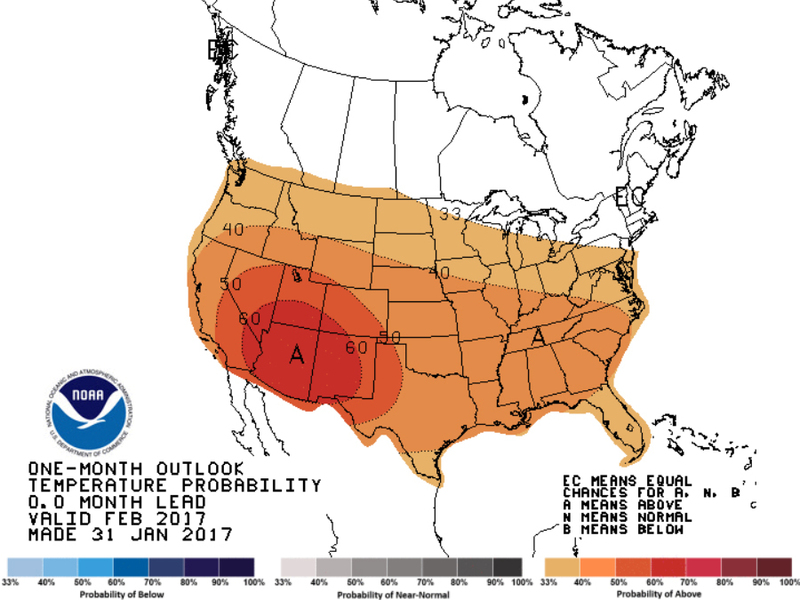 With the exception of the Northwest, January saw overall above average temperatures across the country. 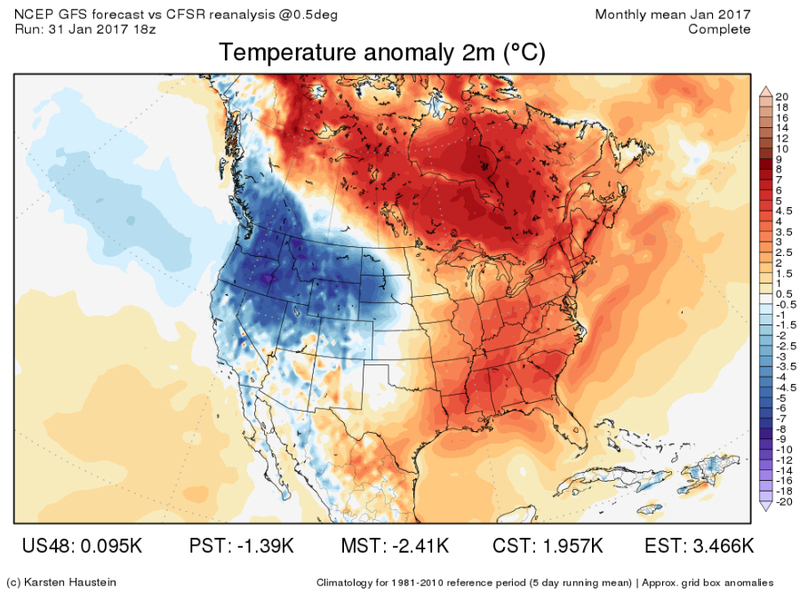 In the first few days of February, colder air is expected to slide into the Northern Rockies and eventually the eastern two-thirds of the country. Fortunately for anyone who can't wait for spring, this cold spell will be brief, lasting only for the first week of the month at best. From there, temperatures are likely to see their usual ups and downs, but at the end of the month, it's expected the overall average temperature will be above average. Long-term forecast models are also predicting extra precipitation across the northern third of the country from the Northwest to the Midwest. 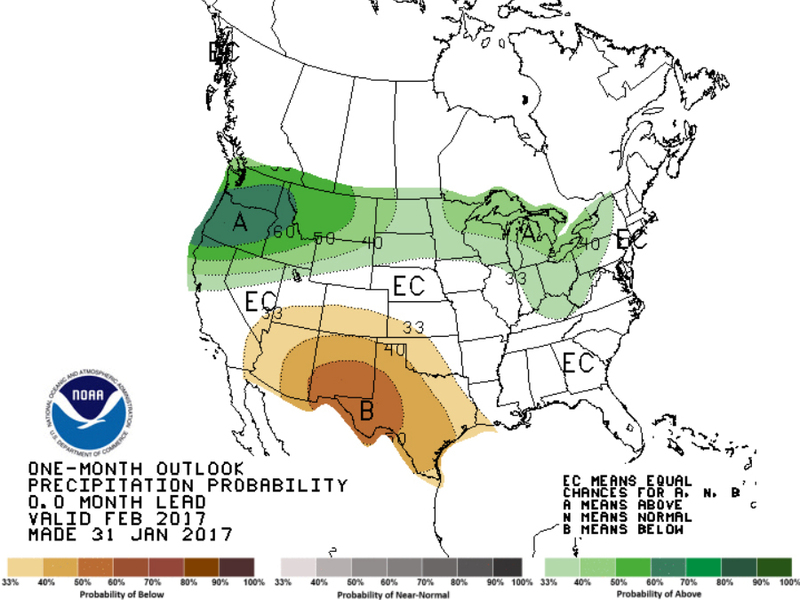 Drier conditions are more likely in the Southwest and Southern Plains, which isn't good for developing drought conditions across the South. Regardless of what the groundhog says on Feb. 2 , it appears we may get a sneak peek at spring a month early.